KARIYA (JAPAN) – Toyota Boshoku Corporation (TOKYO: 3116) will exhibit at Milan Design Week, which runs from April 9th to 14th, 2019, in Milan, Italy. This year marks Toyota Boshoku’s seventh showing at the exhibition. Under the theme “EMOTIONS OF SPACE” – a future mobility space where evolving technology resonates with people’s sensibility, Toyota Boshoku presents a space that stimulates human sensibility by experiencing the comfort of the seat that utilizes our knowledge of ride comfort, while the color of the space changes with the temperature of the room. In addition, the ceiling decorated using yarn and fabric expresses our origin business and provides high quality time and space. Toyota Boshoku established its Milan design studio in 2011 to get close to cutting-edge design trends and thereby further hone its design sensibilities. 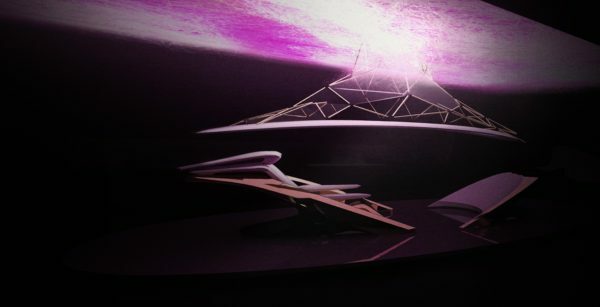 Since then, the studio has created number of attractive moving spaces, including the interior furnishings for concept cars developed by automobile makers. Toyota Boshoku will continue to exhibit at the Milan Design Week that runs concurrently with the Salone Internazionale del Mobile and promote its advanced design development capabilities to the world. Always, its goal is to be a company that persists in proposing excellent mobility for customers throughout the world, offering “QUALITY OF TIME AND SPACE” in all aspects of human mobility.